Get great voice quality result with iKcon Softphone. 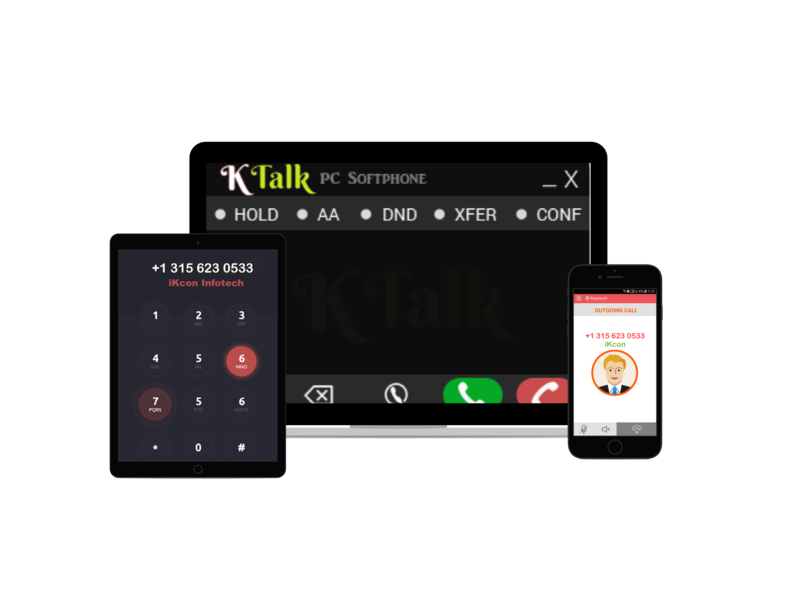 iKcon Softphone provides secure calling platform. iKcon Softphone is compatible with all kind of SoftSwitches. Supports all kind of Major codecs. User can check balance and rates online on the dialed. iKcon Softphone comes with unlimited users access. iKcon Softphone has integrated phonebook. Take a VoIP calling knowledge to a radical new level with Ikconinfotech SIP Softphone. iKcon Infotech’s new SIP Softphone is composed in a way where it is competent to supplant desktop telephones and change over a PC in the virtual phone with its progressed and highlight rich capacities. The Free SIP Softphone is suited to all most recent innovation for the VoIP framework.Since it is equipped to give unrivaled voice exchange quality and other key and included components of the VoIP Softphone, the iKconInfotech SIP Softphone have every one of the abilities of being the vigorous item in the contemporary SIP VoIP Softphone field. You can transfer files like Mp3, JPEG, and in all formats. Put the caller on hold or untold while on the call. iKcon Softphone is complete White Label Solution. Compatible with all kind of PBX’s systems. Can I use iKcon Softphone with my PBX System or Softswitch? Yes, can be used with any kind of PBX system or Softswitch. Is there any way I can get my branding on the Softphone? Yes, you can your company’s logo and branding in the Softphone and increase your customer base. Yes, It’s compatible with all with all versions of Windows and work perfectly with Window based PC. Is Their any limitation in Users license? No, their is no limit. It comes with unlimited users license. Yes, it does support video calling and instant messaging if you Softswitch or PBX has this feature available.